Visiting Caherdaniel and not visiting The Blind Piper Pub for a pint of Guinness and some wonderful seafood would be sheer madness. The interior of this pub alone is so traditional that it is a tourist attraction in itself. Low ceilings, dark wood and the smell of peat from the fire will encourage you to stay. 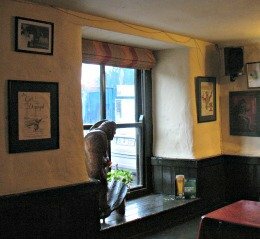 If you are lucky enough to visit while there is live traditional Irish music playing then I am sure that ‘just one drink’ may turn into two or perhaps even three! 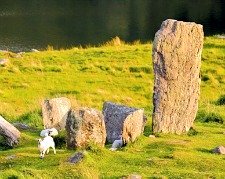 This is one of those places that you will yearn to go back to time and time again even many years after you have left County Kerry. great atmosphere, beautiful interiors and the food menus are fantastic. My first drink in The Blind Piper came after a fantastic walk with friends along the Kerry Way from Sneem to Caherdaniel. 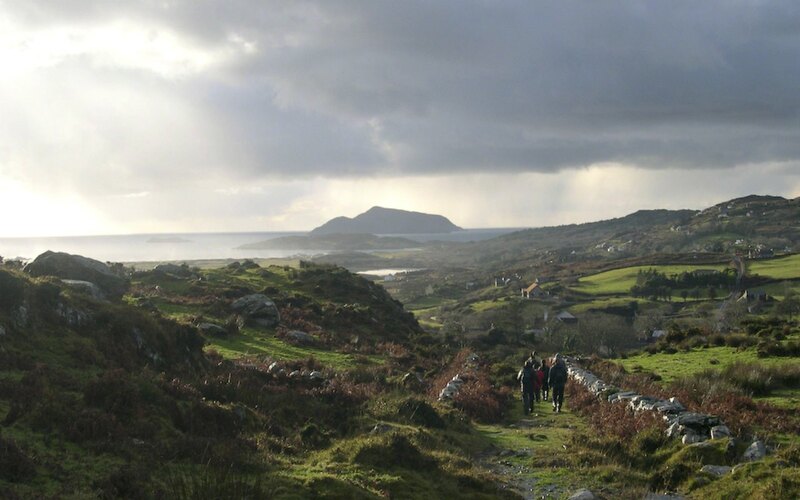 This 16km leg of the Kerry Way is one of my favourites as it provides some of the finest views of Kenmare Bay and the Atlantic Ocean. The walk ends in the tiny village of Caherdaniel. Other than the Blind Piper there are very few services in the village so it is hardly surprising we ended up stumbling into this pub. 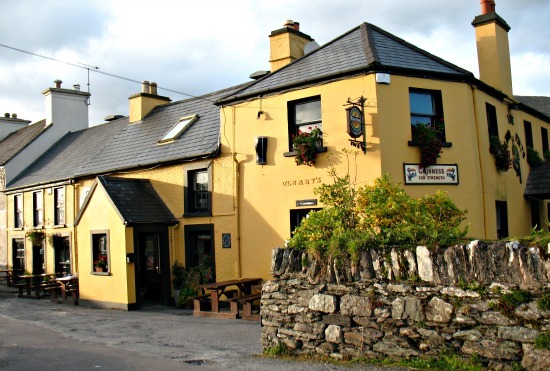 Like many great Irish pubs the exterior says very little about the warm, welcoming interior that awaits you. It was early March when we took our walk so we were very happy to sit close to the open turf fire. When you feel like you have earned it the first sip of beer is always the best- This was no exception. The Irish beef burger that followed became legendary for us throughout that summer of walking in Kerry as we never found bar food quite that good again... and trust me we ended up eating in a lot of Kerry pubs that summer. If I remember rightly it was the pepper sauce and the onion marmalade that came with the lovely thick cut chips and fresh side salad that really blew us away. Since that hike I have returned to The Blind Piper many times. Sometimes for a nice family dinner – the roast of the day and the fish of the day are always fab. And sometimes with friends for a wild midsummer party - the pub can get very busy during the middle of the summer as there are a large number of beautiful holiday homes and a couple of excellent campsites in the area. Of course, before I go back each time I try and earn that first sip of beer. 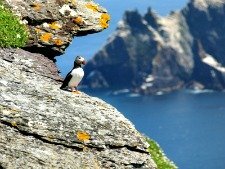 Either with a walk on one of my favourite beaches in Kerry - Derrynane Beach or Lamb’s Head - or by taking the ‘timeless’ Mass Path walk to Derrynane Pier and on through Derrynane National Park.